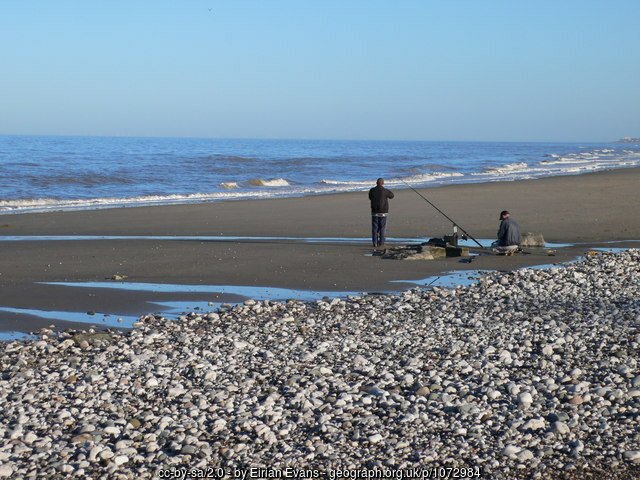 Abergele caravan parks might not be the first places you consider to get away for a quiet break, but maybe you should. Imagine 19 acres of the rolling Welsh countryside and owning a holiday lodge that is only 3 miles away from the beach. A place you can go to at any time of the year, with peace and quiet, is the dream of most creative people. Sirior Bach Caravan Park is such a place and the park is exclusive to owners and their families. Whether you are writing your first novel, want to paint a masterpiece or just chill out away from your incredibly busy life, a holiday lodge in North Wales could be just what you need. And it doesn’t have to cost a fortune. This lodge has everything you need to be comfortable including a fully fitted kitchen where a budding chef would be happy to cook. North Wales has a diverse landscape all of which is awe inspiring. From rolling hills and majestic mountains to long sandy beaches and mountain lakes, all can be found here. Artists can paint in areas of outstanding natural beauty and not be disturbed by a soul. And there is so much to paint with the sea, rivers and abundant wildlife all within easy reach. Writers looking for characters for their books can “people watch” in Abergele and surrounding areas. Many, many writers and poets have been inspired by Wales. Included among them are Dylan Thomas, Roald Dahl and Beatrix Potter. It’s not only creative people who find sanctuary and inspiration in the countryside. Busy executives working in cities love the tranquillity of North Wales. There are plenty of golf courses in the area to play a round or two. Indeed anyone who ordinarily has a stressful, active life can relax in stunning natural surroundings. There are plenty of annual events in North Wales all within easy reach of Sirior Bach Caravan Park. You can join with locals in the St. David’s Day celebrations held on 1 March every year. There are parades where children and adults dress in traditional Welsh costumes. This is a great day for singing and dancing with plenty of traditional fayres to feast on. Helping the Welsh celebrate their Patron Saint’s day will teach you that Wales truly knows how to party! This Craft and Food Fayre is usually held toward the end of August at Conwy Quay. You’ll find a large selection of Craft and Food stalls. There is always a great selection of local delicacies, beers, cakes, wines and cheese. Plus a huge choice of crafted items that include handbags, wooden toys, cards, wood turning, photos, art, leather goods and jewellery. Also focused around the Quay area, this is a massive festival of food, drink and live entertainment. Held at the end of October normally the event attracts thousands of visitors every year. Bringing the whole community together, everyone puts their cares to one side for a couple of days to eat, drink and make merry. Keep an eye on the Conwy Feast website for 2017 dates. During feasting festivals, you can often get free entry into the many historic castles in North Wales including Dolwyddelan, Caernarfon, Conwy, Harlech and Beaumaris. Sirior Bach has a reputation for being one of the best, exclusive caravan parks in North Wales. A rural sanctuary sheltered in the countryside, with stunning scenery in all directions. There are a few locations in the UK that can provide such calm and tranquil surroundings. Yet all within easy access of the nearby towns of Abergele, Conwy, Llandudno and Rhyl, where you can find a fantastic programme of events all year round. If you have considered buying an inexpensive getaway in the UK why not visit one of the Abergele caravan parks? View some of the static caravans and holiday lodges for sale and buy your own place to get away from it all. Far from the madding crowd as Thomas Hardy so eloquently put it.